Observation - Paupers Wood 4th Spot - UK and Ireland. Description: Daffodils always look incongruous in the wood but are a lovely show of colour. 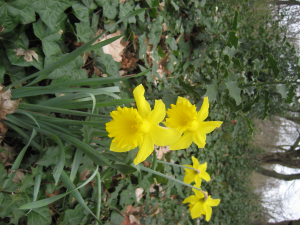 Daffodils always look incongruous in the wood but are a lovely show of colour.